Haters from all countries – ALERT! This is a text for you and you can have a good laugh! It is about the influence on the sound of a LAN cable and LAN isolator (known for example from medical products). The Japanese company Acoustic Revive introduced two new products to the market – the LAN-1.0 PA cable and the RLI-1 isolator, aimed to improve the sound in systems where the sound source is a network player using resources stored on a server or network disk. You are free to laugh and get it over with. And we can tackle the serious things. When somebody told me a few years ago that I would be testing LAN cables, I would smile too. Maybe without malice, because I got used to the fact how little is known (how little I know) about the mechanisms of sound reproduction, but with some distrust. But this change of my attitude shows that on the one hand I really know little about the nature of signal transmission, and on the other hand, how big has been the quality leap in sound reproduction over the network. 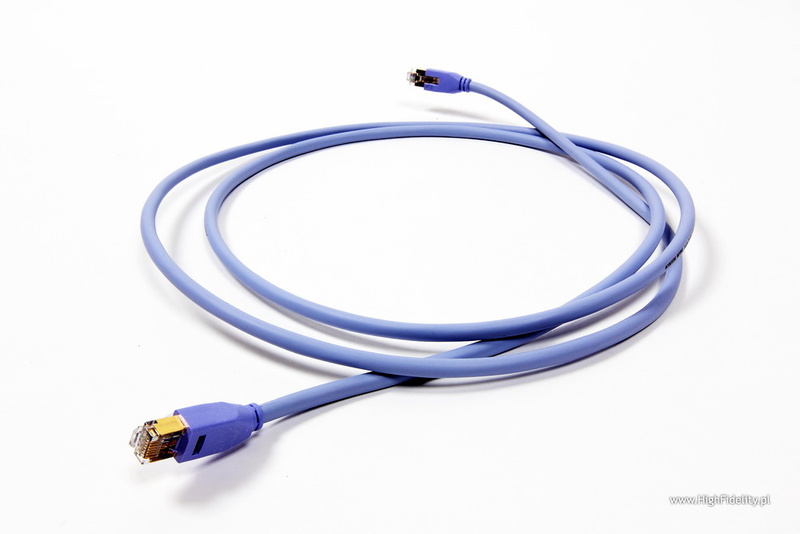 What is a LAN cable used for? Well, to transmit digital signals, in so called “packets”, over a local network. Common sense would lead to the conclusion that following basic rules, i.e. a good CAT-5e cable with good contacts, etc., this part of the signal path has no influence on the sound. Yet it has. The first impulse came from the man who has spent the last two years researching digital transmission and interaction of a network player with a local area network, including NAS disks and servers. I am talking about Gerhard Hirt and his network player S-3, about which we wrote HERE. Gerhard prepared his player in cooperation with one of the best groups of people for this task, the company StreamUnlimited from Vienna. It is a group of engineers from Austria and USA who worked for Philips and in the end of the 70-ties designed the mechanical drive for the CD-player, and later was also involved in the creation of the CD Pro-2. After starting their own company they designed and made the first music server in the world. Now they specialize in CD and DVD/BD drives as well as central processing units for file players – their modules are used by companies like Musical Fidelity, Audio Research, Pro-Ject or Ayon Audio. During our meeting Gerhard told us that it had taken them a long time to understand why the sound of the player is much worse when the audio files are played from a pendrive plugged into the USB port, and much better when the signal is running via LAN from a server. And they came to the same conclusions as people from LINN did some time ago: that the LAN allows for a much better clock synchronization of the network player and the network disk. I do not know if you remember but for a long time, maybe even today, LINN has not included any USB port in their players; the signal always comes through a LAN port. The second impulse also came from a person related to audio technology while being at the same time the “HIFICRITIC” magazine editor, Malcolm Steward. In his article Build Your Own NAS he describes his experiences with eSATA cables, and how their different versions influence the data transfer (Malcolm Steward, The Infamous SATA Cable Saga in Build Your Own NAS, „HIFICRITIC”, October/November/December 2011, Vol5, No4, s. 23). Such “revelations” (this is just “data” so it should not depend on the way of transfer) made the manufacturers re-think the role of the LAN cable in the audio system. 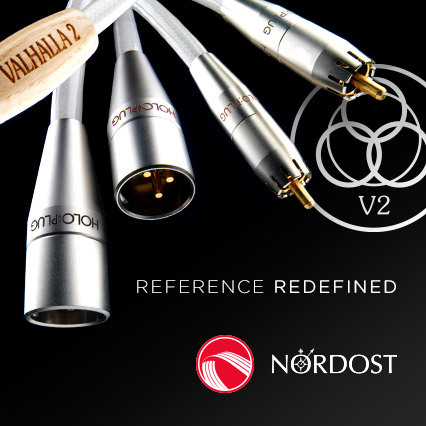 And so a lot of specialized cables came into existence – they can be found for example in the catalogs of Supra and many other companies, including the Japanese Acoustic Revive. 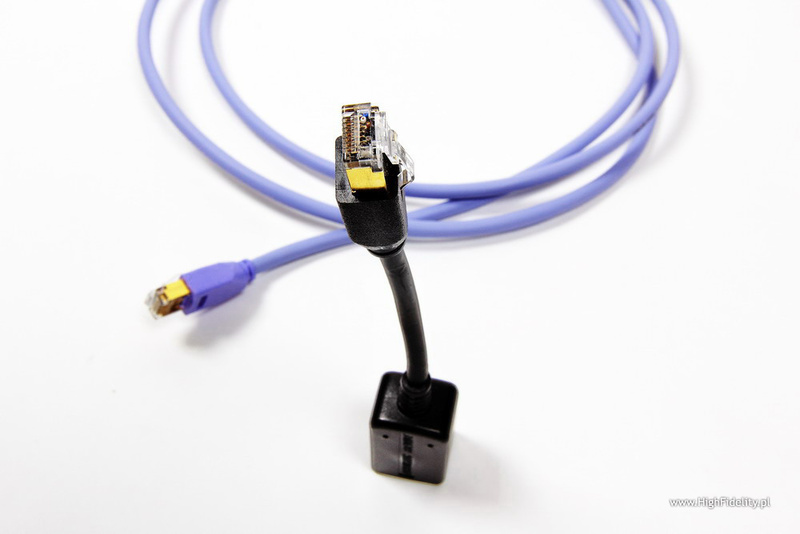 The latter specialist designed the LAN-1.0 cable (the two meter long version is called LAN-2.0) and a low-pass filter cleaning the LAN network from high frequency interference. Such filters are used as standard in medical devices, where high performance and low distortion are top priority. These filters are simply isolation transformers. The guys from Acoustic Revive examined their influence on the sound and – they claim – it turned out that using only the transformers diminished the dynamics of the sound. They added some coils and rearranged the circuit and it was much better. Thus the RLI-1 filter was created; it is plugged in between the router and the server or the router and the player. Better yet in both places. This was the basic configuration for me, where I checked the direct influence of the Japanese cable on the sound, with the cable working as a digital interconnect in the HS-Link port. This is a digital transmission interface designed by Accuphase to transfer signals between the drive and the DAC in their newest top system (price 170,000 zł) using standard RJ-45 ports (Ethernet type). This link must be of the highest quality, because besides transferring PCM signals up to 24/192 it has to deal with the DSD signal 2.8224 MHz/1 bit. It also seems that the drive and the DAC clocks are separately synchronized. This is a large amount of information which is naturally prone to distortion. I was reviewing the Accuphase system for the “Audio” magazine. Mr. Robert Szklarz, the Polish distributor of Accuphase and AR, asked for a comparison between the HS-Link and the S/PDIF connections; whether the S/PDIF is better. The test was done by plugging in both cables: S/PDIF – Acrolink 7N-D6100 and HS-Link – the Accuphase cable supplied with the player. My response to the question was short – no, S/PDIF does not sound better. For the first five minutes it seemed that the sound was more palpable, fuller, but it quickly turned out that it was simplified, shallow, worse. This was clearly audible with CDs, but with SACDs it was simply unacceptable. 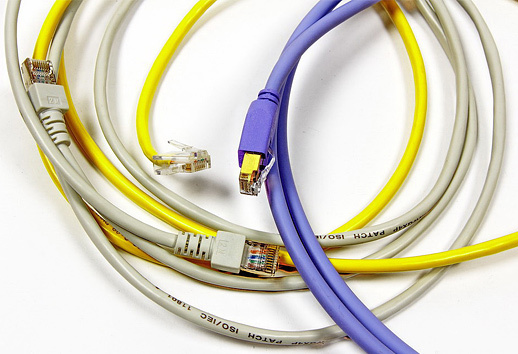 As you can see two absolutely incomparably priced cables were used in this comparison – the very, very expensive Acrolink cable (10,900 zł/1m) and the bundled, rather cheap Accuphase cable. Even in this comparison, the much better connection formula of the HS-Link allowed to see its advantage. Changing this interconnect (because in this case the LAN cable works as a digital interconnect) to the Acoustic Revive cable was a big unknown to me. Ha! The change in the sound was immediate and explicit. It was bigger than going from RCA (S/PDIF) to HS-Link. The Acoustic Revive cable transfers incomparably more information about the room, extra-musical elements, so much that it seems that we listen to a completely different device. The Accuphase system is extraordinary, and with every cable it sounds in a way that allows us to sit down in the listening chair and fly away. Better with SACDs than with CDs, but the latter also show their better side. Yet it was with the Acoustic Revive cable that I heard details that seemed intrinsic to a master tape and studio sound, directly from microphones, such as: bass definition, incredible amount of information in the treble, etc. Now I cannot imagine listening to the Accu without it. But… Damn it, there is always a ‘but’. And even if you think that I approach each reviewed device enthusiastically, this is not the case. For once, we publish only the reviews of products that are good, that we picked from a crowd of others. Secondly, I always publish information about weaker points of a reviewed device. Always. That it is not seen by the readers, or its importance is neglected, is an error on their part. Please look inside any good review in any good printed magazine – it always shows the good news first, because it decides about the device being reviewed at all. Let me repeat: I do not review poor devices!!! Or those that I do not have confidence in!!! Life is too short for that. And, for as far as I can see, this is the way other reviewers do it too, be it in “Stereophile” or “Hi-Fi News & Record Review” – just to mention the two best – in my opinion – printed magazines, to which you should add “6moons.com” and “ToneAudio”, the best representatives of internet press (“HIFICRITIC” is a completely different story…). That is why you should treat what I will write now with the same attention as my words of admiration a moment ago. The sound with the Acoustic Revive is brighter. I mean it seems brighter, mostly with CDs. In reality the timbre does not change much, but there is so much more information in the treble that things get thicker and you have to adapt to that. With SACDs this happens quickly and it is OK, but with CDs the problems of this format seem to surface. Usually, even with the best CD players we can reach a moment when we have balance between the quality of listening (our comfort) and quality of reproduction (adherence to what is recorded on the disc and the format itself). Because “absolute sound” is not “neutral sound”, it is natural sound. And they are two different things. With the Acoustic Revive, with SACDs I got sound that was neutral and natural at the same time. With CDs it was only neutral. And, frankly speaking, the listening pleasure went down. And I had a problem – changing back to the Accuphase cable I heard a lot less. Literally. After some accommodation, after a day of listening using that cable, the enchantment with this top player sound would return, but then a short try with the AR and again: how much information!